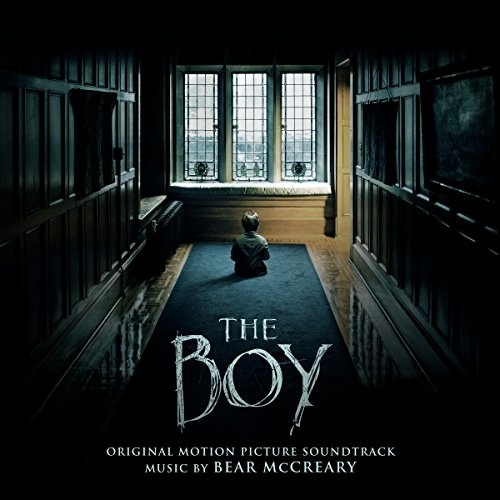 The 2016 horror-thriller The Boy features an original score by Emmy-winning composer Bear McCreary, best known for his work on television shows such as Outlander and The Walking Dead. Utilizing melancholic piano and supportive orchestra, eerie strings, the carefully constructed sound of an out-of-tune music box, and shock-motivated percussive noise all in turn, the versatile score is distinctively of the horror genre. His musical theme for the boy, whose name is Brahms, was inspired by Johannes Brahms' famous lullaby ("Wiegenlied: Guten Abend, Gute Nacht"). The soundtrack also features McCreary's disquieting original song "In My Dream," performed by alternative R&B singer Fyfe Monroe.